The weather was warm and humid as I explored the jungle and I took a break to catch my breath. 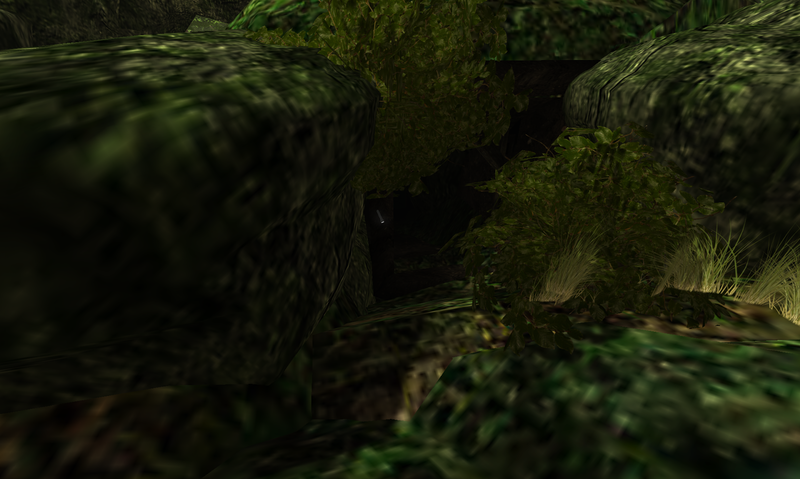 Glancing around idly I noticed some darker shadows, concealed behind some bushes. A few strokes of my machete revealed the entrance to an abandoned mine. Close to the entrance some intrepid explorer had left a flashlight - I picked it up and, happily, a few glimmers of light issued forth, pushing back the shadows, so I ventured in to the tunnels. Goodness, how they twisted and turned - dead ends left right and centre - a veritable maze! Without the glimmer from the flashlight I might well have spent an age down there. Soon enough however I emerged at the far end of the complex of tunnels to a broad cave. 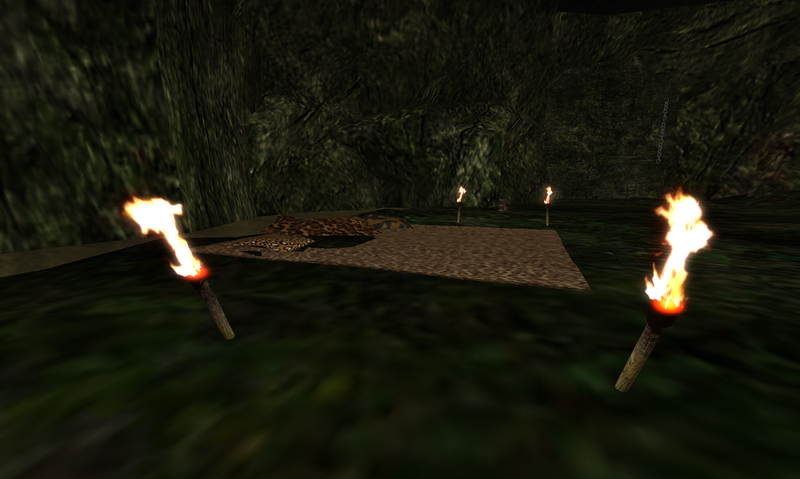 It was a quiet spot but clearly had been inhabited for I spotted a comfortable looking rug surrounded by lit torches and - more intriguingly - a set of three magnificent chests. 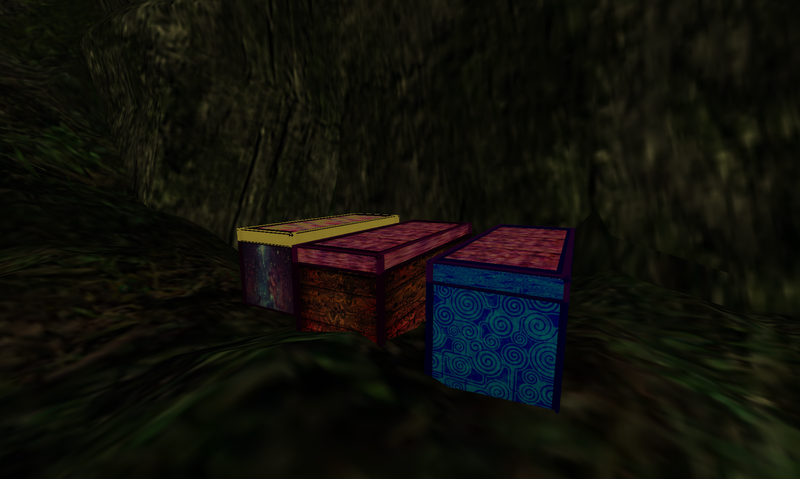 Without delay I opened the first of the chests - and such a treasure was found within! I will not reveal what I found but I can tell you, dear Reader, it change my outlook considerably! I hastily opened the second, and then the third chest, reveal further life-changing items. Truly, the Amazon River never ceases to amaze!